I read 5 books in May, you guys. FIVE. In comparison? I read 16 books in May of 2013. I have a whole list of excuses reasons for not reading very much. There was school, there was Netflix, there was a slump of epic proportions. Adding insult to injury is the fact that I couldn't give these books the chance that they deserved. My attitude was craptacular. I was skimming, rolling my eyes, and not giving books the time and attention that I normally do. I have a few thoughts about each of them but I warn you to take my "opinions" with a grain of salt...because I'm a jerk. Cheesy, ridiculous, and unputdownable. I'd really like to plow ahead with this series but I'm trying to pace myself so I don't bypass my son. Teen boys are sensitive creatures when it comes to The Walking Dead. Filled with stunning stories that I was too crabby to appreciate. Are you a fan of short stories? 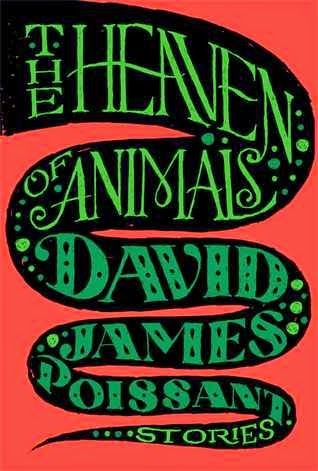 Get your hands on a copy of The Heaven of Animals. I'll have you know that I'm ruining my adolescence by re-reading this series. When I was 12 OMG THESE ARE THE BEST BOOKS I'VE EVER READ OMG. 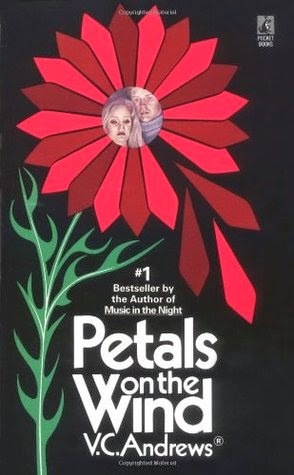 Oh, Petals on the Wind, you are nearly unbearable to read at my current age. Let's call you a guilty pleasure. Tom's River really got the short end of the stick from me and it's the one that I feel the guiltiest about. I took too long to read it so it felt disconnected and lost a lot of its punch. Don't let my idiocy prevent you from reading this fantastic piece of nonfiction. It's important and you should definitely add it to your wish list. A story about the inspiration for Goodnight Moon!? Sign me up! What could have been a deliciously bookish celebration of women's friendship turned into a cliched tale of insta-love. Blerg. Goodnight June was not my cup of tea...but it might be yours. I neeeeeed you to be. This happens to all of us. I hate it when I get in those slumps, but I am learning to be patient with myself. I step back from reading and visit other blogs. Then, I try to find that one book that seems like it will shake me emotionally. THat will usually do it for me. Here's to a better June. Cheers. It stinks that it happens to all of us. On the other hand? I'm glad it's not just me! June HAS to be better darn it :D Thanks for stopping by, Stephanie! Don't you hate it when you find yourself in one of those moods. I do. I have a hard time even picking up a book when that happens. At least you made it through five. June will be better. Oh my word, YES. I don't like being a grumpy girl. June WILL be better, I have faith :D Thanks, Vikk! Ha! I shouldn't complain ;) The real problem wasn't the lack of quantity, it was that I was such a jerk face that I couldn't enjoy anything! I hate it when I'm in one of those reading 'moods'/'slumps' where nothing is working for me. I experienced this the last week of May actually - countless books were started, and promptly abandoned. I just ended up starting my June TBR early. Here's to a better June! Well my word. I sure hope we both have a much better June! I feel ya. I've been reading much less than I did last year too. But, as long as we're still reading, and enjoying what we read, that's what counts the most, right? That should be the only thing that counts :D I wonder what's going on with us this year? It seems to be a widespread phenomena too. I've had major interruptions with my reading this month too. One college graduation with a graduation party for 50, one high school graduation coming this Saturday with another graduation party, a death in the family with a week in PA trying to help out, and cramming to get caught up in our homeschooling. Eek! .......Shoot, and all our friends are at BEA. I'm totally jealous of them. I'm totally jealous too! I hope to read some awesome blog posts from our pals once they get home! I totally know what you mean about books you just groan and drag yourself through. Hopefully next month will be full of lovely, engaging books to start off summer. Will you done with school in June? I am done with school now! Ahhh, I'm free for the summer. I'm not sure if this whole "going back to school" was the greatest idea I ever had, lol. May was ok for me, My average is 8-10 books. 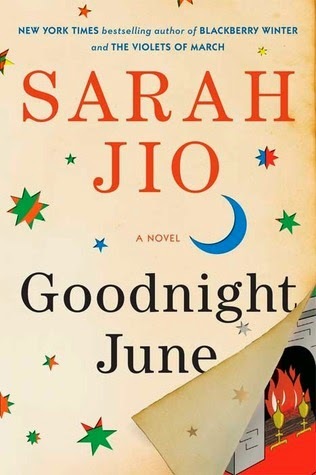 I enjoyed Goodnight June for what it was, but I agree I could have lived without the predictable love story and back story to who June really was, I figured that out early....kind of duh. Onward to June!!! Kind of duh! Ha ha, exactly :D Onward indeed, I'm looking forward to June. OH man, who has the time or the energy for full reviews of every single book anymore? Well...I SHOULD have both of those things but they are in short supply lately so this is what happens, lol. I don't have the excuse of kids, anymore, but they did come to visit around Memorial Day and spent a few days all together, so that made for a busy week! I had a strange month for May, first a reading slump, then a crochet frenzy, then a mini self imposed read-a-thon. It was a weird month for me. Anyway, I hope next month is better reading wise. I've had my eye on Tom's River and I purchased Flowers In the Attic for re-reading, but I agree, sometimes books like those are better read as teens. 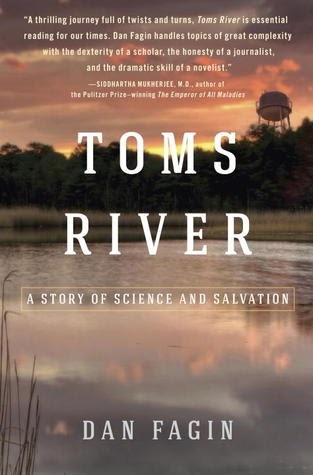 I definitely recommend Tom's River...it was great! LOL, oh Jennifer, I miss you when you're slumping! I feel like I missed the boat on the whole VC Andrews thing because I didn't read them young. I think at this point it would just be ridiculous. Girl, better to not read when your slumping than plow through things you might have enjoyed otherwise... Am I right, or am I right? :) Here's to June! You'll get it back in June. You are Relentless! I sure hope so :D This year has been weird, this month in particular. I'm reading for a summer filled with books! What's happening to us in 2014? It seems that there are a lot of us struggling this year. Hmmm. Yeah, I always know I need to lay off the reading and just chill with SIMS3 when I hate everything. I totally know how you feel! I've been extra cozy with Netflix this year ;) I think that's better than trying to read when my attitude stinks. Lesson learned! I hear ya! Even though I read good books this month, it was a slow month, interrupted by work and life! I'm counting on June to turn it all around! Five books in one month would be killin' for me... sigh. March/April/some-May were just crap for reading. I am stuck on Margaret Atwood's "The Blind Assassin"... going on 5 weeks now since I first picked it up. And I love Atwood!! Grrr. Hoping for a better June myself! Ha ha! I know just what you mean. Netflix is simply awesome/evil. 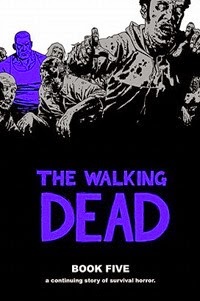 I keep meaning to read The Walking Dead series; I love the show (although I am still five episodes behind). As for slumps - well I've been in one on and off since the arrival of my daughter...two years ago! Right now I can't seem to read more than two-three pages of any one book. You'd dig the comics for sure. Warning: They are quite different from the series! Aw man, kids are the worst. Ha ha, not really but I definitely feel your pain!